Nobody’s perfect. Perhaps, that is the most truthful statement ever uttered. And it should be one that gives us all some confidence that we’re all just fine the way we are. The thing is, it isn’t always realistic to feel completely happy with yourself if you’re convinced that improvements can be made. Of course, when it comes to your health, it’s important to address your imperfections. And even when making yourself look better will make you feel better, it’s worthwhile to look into viable options. The Fractional CO2 Laser is one such option. This is because it treats a wide variety of skin conditions. But we’ll get to those in a moment. Firstly, let’s discuss exactly what the Fractional CO2 Laser does. You may want to think of it as a water heater. Keep in mind that our skin cells are made primarily of water. So when directed at problem areas in your skin, this unique laser heats the water in your skin to remove some skin cells. What this does is expose the fresher, lower layers of your skin to produce a younger and smoother look. 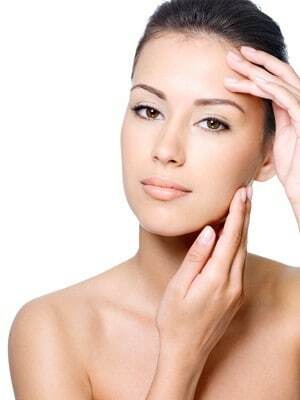 The heat from the laser also stimulates the growth of new collagen. And you know what that means? The Fractional CO2 Laser is more than a water heater. It’s a skin rejuvenator! Aging and sun damaged skin are given the aid to help transform itself into more youthful and clearer skin. But as mentioned earlier, there are a number of other skin conditions that the Fractional CO2 Laser can help you with. Let’s take a look at a few. Melasma. Melasma refers to a dark discolouration of the skin. It generally appears on the sun-exposed areas of the face. Of course, it bears mentioning that sunscreen is always necessary! Nevertheless, you’ll know Melasma is present when there is a consistent brown colour appearing over the cheeks, forehead, nose or upper lip. It often appears symmetrically on the both sides of the face. Moles or Skin Tags. Quite common in most people, moles are growths on the skin that often appear brown in colour. They have been known to show up in a variety of shapes and sizes. Usually harmless, moles may also represent the onset of skin cancer so they are things to look out for. Skin tags refer to protrusions from the skin. The Fractional CO2 Laser can be used to remove both moles and skin tags. Wrinkles. Well, we all know what wrinkles are. And we all know that when we get them, we generally dislike them. Because of the Fractional CO2 Laser’s ability to stimulate the production of collagen in the skin, it not only helps to resurface fresher, younger skin, but also helps for it to stay looking that way. The laser may not be able to reverse time, but it can certainly help to make it look that way! The Fractional CO2 Laser is also used to combat acne scars, as shown in this YouTube video. It also treats brown spots, saggy skin and sun damage. To learn more about this laser or to find out if you are a good candidate based on your concerns and skin conditions, feel free to book your consultation with Dr. Crippen today. Call DermMedica toll free at 1-866-861-3070, or if you are in Kelowna, call 250-868-3070.